With the Winter Olympics just two months away, winter sports fans are getting in the mood for what is the world’s biggest winter event. Hundreds of athletes from all over the world will descend on the South Korean province of Pyeongchang for the event with Great Britain’s athletes hoping to eclipse the four medals they won in Sochi in 2014. With this in mind, now is the perfect time to book a Winter Olympian and here at Champions Olympic Speakers we have a whole host of fantastic winter athletes who have competed at the highest level on our roster. When it comes to booking a keynote speaker for an event, you need someone who is experienced at talking to a whole range of audiences. Often speakers will be required to adapt their speaking to suit the audience they are performing to and the Winter Olympians on our roster are well versed at performing at both corporate events and social occasions. A good example of this is one of the UK’s most famous skiers Graham Bell. Having represented Great Britain at five Winter Games, since retiring from the sport in 1998 he has gone on to become one of the most successful skiing pundits and television presenters. Well known for fronting Ski Sunday he has over 30 years of experience in the winter sport industry, something he is able to demonstrate at all of his speaking engagements. A key element of any keynote speaking event is that it needs to grasp the audience’s attention. If it is dull, boring and tedious then your audience will wish they hadn’t attended so it is important you book somebody who has plenty of interesting stories and anecdotes to tell to make the event enjoyable. Having won a silver medal at the 2014 Winter Games and with two World Championship golds to his name in the sport of curling, David Murdoch delights audiences at all of his speaking events. The Scottish star comes from a talented family of curlers and is the brother of Olympic coach Nancy Murdoch. At his events he is able to give a fascinating insight into how a sport as simple as curling won the hearts of the nation in 2014, and his plans going forwards. Another thing worth considering before booking a Winter Olympian as your keynote speaker is what value you want them to bring to your event. Able to tailor their speaking exactly to your event, they can motivate and inspire audiences or if you’d prefer simply discuss their careers and take part in Q & As. 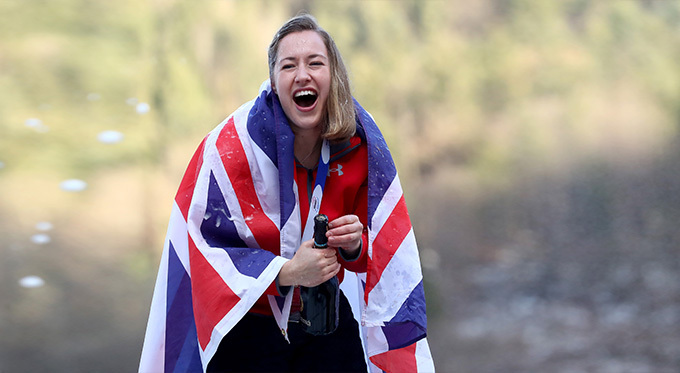 Lizzy Yarnold MBE won gold in 2014 in the skeleton event and during all of her keynote speaking events she can motivate people with her wonderful stories of success. Hoping to become the first Brit to defend her skeleton crown, she has come a long way since her early career in Kent, going on to dominate the sport.